Peaceful Island Living and conveniently located to Downtown Savannah! The best of both worlds. 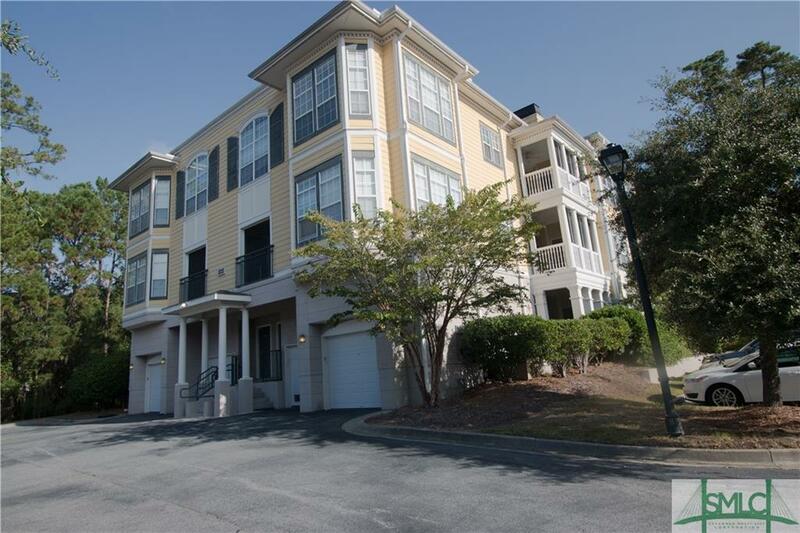 This updated 2BR/2BA condo includes granite counter tops, open shelving, and stainless steel appliances. The split floorplan boasts DESIGNER touches throughout including HARDWOOD floors in the living area, CUSTOM tile flooring in both bathrooms, a beautiful fireplace, hidden bookcases, and stylish lighting. The bedrooms have spacious WALK-IN CLOSETS and lush carpeting. Located on the 3rd floor, the large windows allow NATURAL LIGHT to flood into the space accentuating the 9+ feet ceilings. Need a quiet place to start or end the day? Overlooking a serene tree lined green space, the LARGE screened-in porch offers a private owner's retreat. Finished with a designer's flair, this condo is ready for you to move in and add your own touches. Listing courtesy of Diane Bailey of Keller Williams Coastal Area Partners. © 2019 Savannah Multi-List Corporation. All rights reserved.